Today I am sharing my final post as a member of the Crafter's Companion Design Team. It has been such a wonderful experience working on this team! Taylor and Kendra are fabulous and I honestly learned a TON and grew quite a bit being a part of this team. Heck, I can actually color now! LOL! I am so grateful to have had this opportunity! 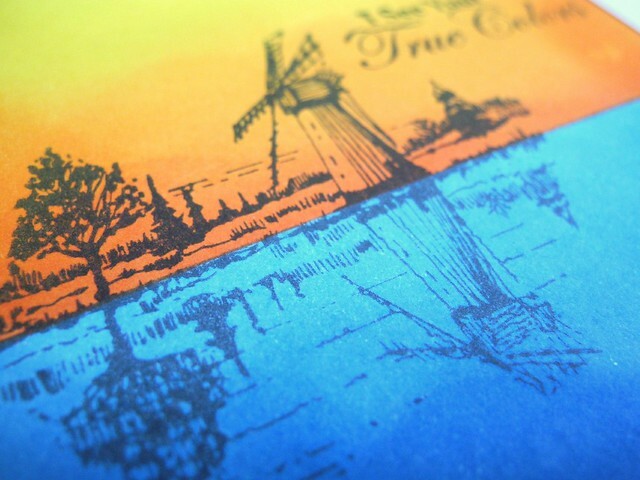 I pulled out a gorgeous image for summertime from the Art-Kure collection. I love this windmill so much! I did some inking and then paired the image with a sentiment from Sheena's True Colors stamp set. I thought they worked together brilliantly! I did some masking and inking with Distress inks to create the background. I love how the colors are so warm! I stamped the image and the sentiment simply over the inked background. I can tell you that a stamp positioner like the Stamp-a-ma-jig is a SUPER HANDY tool for this kind of stamping. I then matted the inked panel on some of the GORGEOUS shimmering red cardstock from Crafter's Companion. I love the rich color tone of this card stock! And it's nice and heavy weight, too, and that always makes me happy! And with that, I wish you a wonderful Monday! Beautiful card, now I have to find my Stamp-a-ma-jig lol. oh my this is incredible.. i love it..
Gorgeous card! You did it again! Gorgeous inking/blending. This is really striking. You've done an amazing job for CC this year! oh my what a beautiful scene, Love the shadows in the water :) so very cool ! Beautiful sister! Will miss you! Will visit your creativity! Gorgeous card Jennifer! I will miss having you on the CC team ~ thanks so much for everything you've done for us! 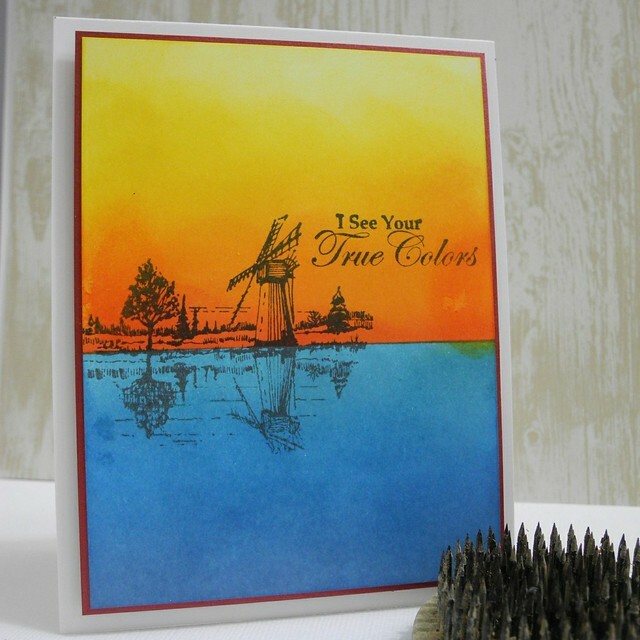 Beautiful colors--perfect for this card!